(OPride)—A highly anticipated public welcoming ceremony of a contingent of Oromo Liberation Front (OLF) fighters back home from Eritrea drew over a million people from Addis Ababa and across the country. The city’s main square, Meskel square was the venue what was a historically unprecedented and festive occasion. The city administration confirmed the estimated number of people in attendance as having surpassed a million. Despite well founded fears that violence or clashes could mar the occasion, yesterday’s event passed thankfully without incident. 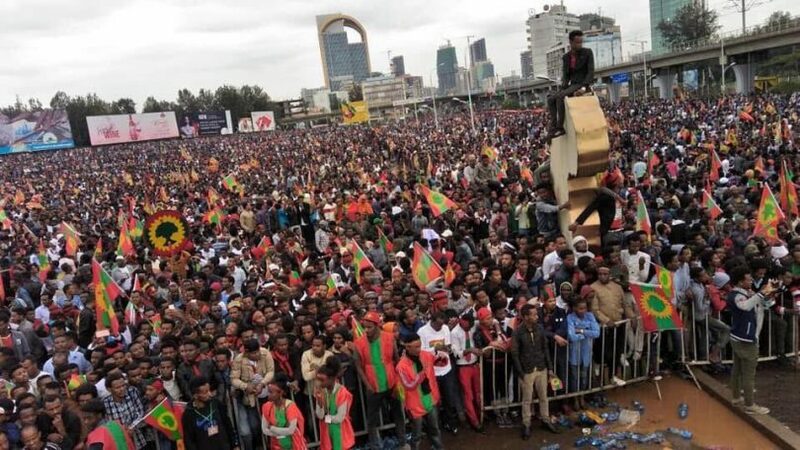 The warm and arousing reception of the 1300 person OLF unit in Addis Ababa by a sea of OLF flag waving, resistance flag or Gadaa colour clothing clad unapologetically Oromo people at the city’s Meskel Square was an unprecedented, narrative shattering, mesmerizing sight for the ages. 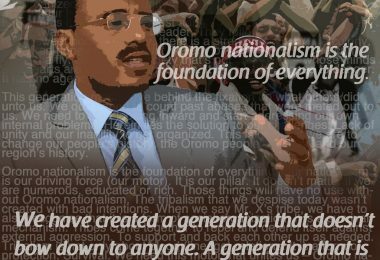 The OLF have spent much of the last four decades struggling for the self determination rights of the historically marginalized Oromo people in Ethiopia. The rebel group has been banned by the ruling Ethiopian People’s Revolutionary Democratic Front (EPRDF) coalition party for much of the past two decades. 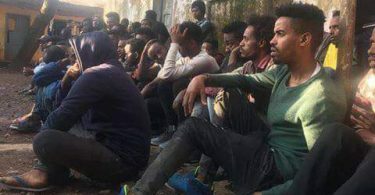 Alleged membership has been the pretext for the government’s arresting of tens of thousands of Oromos in that time for dissent or exhibiting the slightest bit of opposition towards the regime. But an era of reform ushered in by recently elected Ethiopian Prime Minister Abiy Ahmed, has seen OLF membership decriminalized. Longtime rebel leaders Dawud Ibsa and Kemal Gelchu among others, have taken up invitations to return home and take part in the political process. Dawud was in attendance as the remaining members of his rebel army, all still dressed in military fatigues but no longer clutching their weapons, crossed the border from Eritrea into Ethiopia’s Tigray region. After a reception which included a lunch program in Mekelle, they were bussed into the Ethiopian capital to be paraded in front of the massive crowd of onlookers and supporters. “It feels like a dream,” one woman at the event draped in the OLF’s large green and red “resistance flag” told state broadcaster Ethiopian Television (ETV). “I never thought I would live to see such an occasion. Indeed, considering the fact that even the flag was once outlawed, to see it’s adherents out in force, loud and proud in the capital city where the oppressive establishment had been holed up for decades, is in many ways unbelievable. The last time people took to the streets displaying OLF memorabilia and Oromo resistance symbols was back in September 2016 as part of the Oromo Protests. On that occasion, police brutally suppressed the gathering, mercilessly beating countless and detaining hundreds. The country has clearly come a long way in those two years. Addis Ababa, the compressed metropole sprawled out across the country’s Oromo hinterland is often referred to as being historically and socially hostile to the Oromo populace’s aspirations. Looking back at history, institutional linguistic and cultural erasure that has more or less wiped away all traces of Addis Ababa’s Oromo origins of centuries ago. 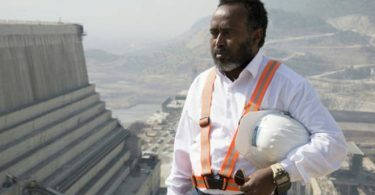 In recent times, it was the city’s administration that okayed the much maligned expansion project known as the “Addis Ababa Master Plan.” Had it been implemented, it would have seen the displacement of countless from the surrounding city outskirts, primarily Oromo farmers and their families. But the uprisings that the projects announcement sparked back in 2015 and the thousands who died in the government’s subsequent attempt to quash it, ended up paving the way for political reforms. Political reforms that yesterday had Addis Ababa deputy mayor Takele Uma giving a speech welcoming members of the once outlawed group into the capital city. “Welcome home, we are glad you are back among your families and supporters,” the mayor told them in a speech in his native Afaan Oromo, befitting the occasion. People cheered wildly and enthusiastically waved flags. Men on horseback, paying homage to the Oromo cultural affinity were a spectacular sight. 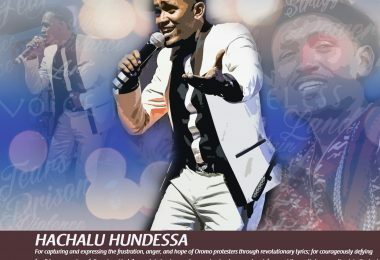 Later, music of famed resistance singer Ebisa Adunya, killed in 1996 by the government’s order for his political activism rang out in the capital. Once taboo expressions of Oromo nationalism decorated the streets of the capital. After several days of clashes between Oromo youths and residents of Addis Ababa opposed to the displaying of Oromo nationalist symbols, it was feared that a far greater disturbance could occur with the expected large turnout of people. But the Federal Police Commissioner Zeynu Jemal had gone on state television promising to safeguard the well being of attendants and it appears that police for the most part did just that.